We made over $3,000 selling Amish Friendship Bread! When my Granddaughter (who I later adopted) was a Junior in High School, she announced that her Band class had the opportunity to go to Japan to perform. She was a member of the Color Guard in the band. For those who are not familiar with the Color Guard, it is a drill team made up of performers who practice and perform precise drill exercises. She was Captain of the Color Guard that year, and it was very important for her to go. The trip would cost $3,000.00 for each student for the seven day trip. That included airfare, food, and housing. The students would stay in a Japanese Host home. This was a rare opportunity for her to travel and see firsthand the customs of the Japanese. The only problem was: we didn’t have money for her to go. I put on my “thinking cap”. What could we do to make enough money for her to go to Japan? 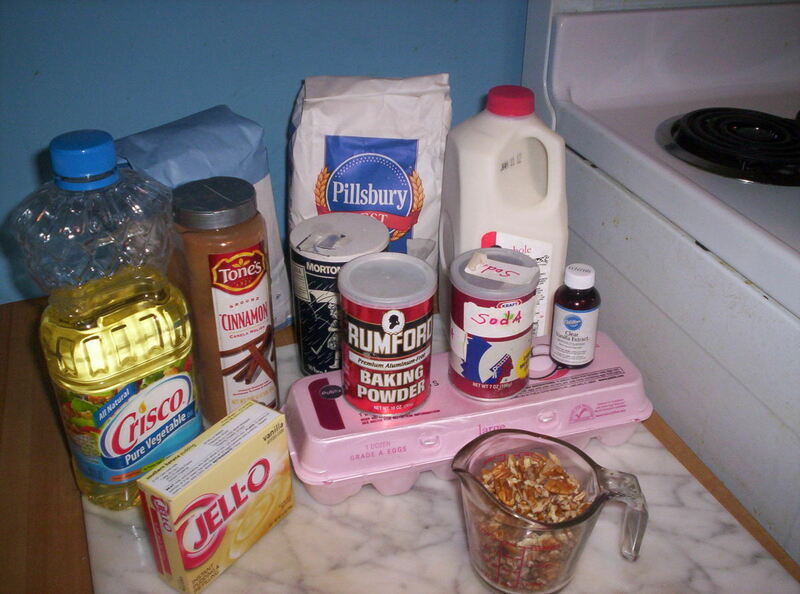 I remembered making Amish Friendship Bread at Christmastime to give as gifts. Everyone bragged about the bread. My friends always ask me to make more for them. The bread is not something you can buy in a store. I found this recipe among my Mother’s collection long after her death. So, my daughter and I decided we would make Amish Friendship Bread and sell it. We had no idea how well it would sell, and I think we were pretty brave to even try. A “starter” is necessary first of all. You cannot make the bread without the starter. The starter is made from yeast, and it takes 10 days to complete. If you are lucky enough to have a friend who has some starter, that’s great, otherwise you have to make your own. The reason the Amish called this bread AMISH FRIENDSHIP BREAD is because they always shared their starter with a friend! The first time I made the starter, I put the ingredients into a large bowl thinking the bowl would contain the rising mix. I was wrong! The next morning, I had starter all over my kitchen counter, and it had spilled out onto the floor. What a mess that was! 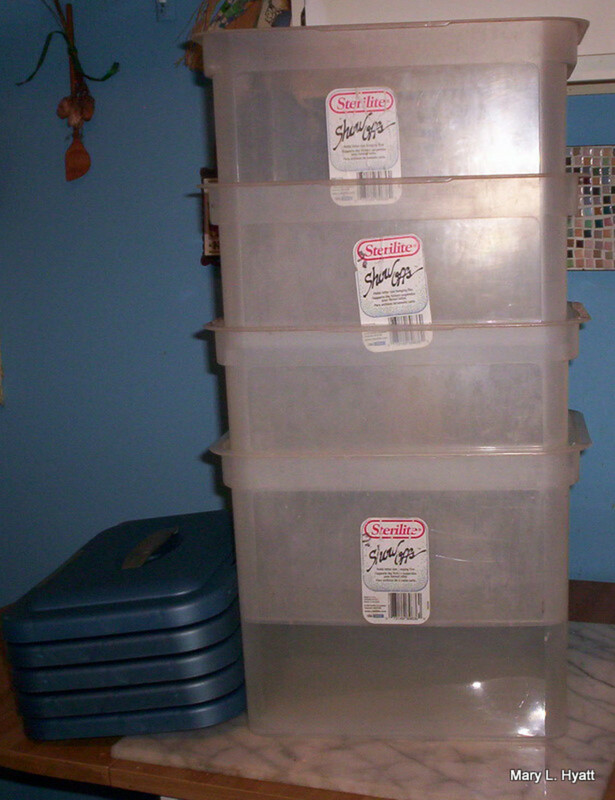 I then purchased a large plastic container with a lid. That worked really well. 1 package of Active Dry Yeast, dissolved in 1 Cup of warm water. Make sure the water isn’t too hot, or you will kill the yeast. I use a candy thermometer. The water should be 100 degrees to 110 degrees. Add another 1 ½ Cup of warm water. 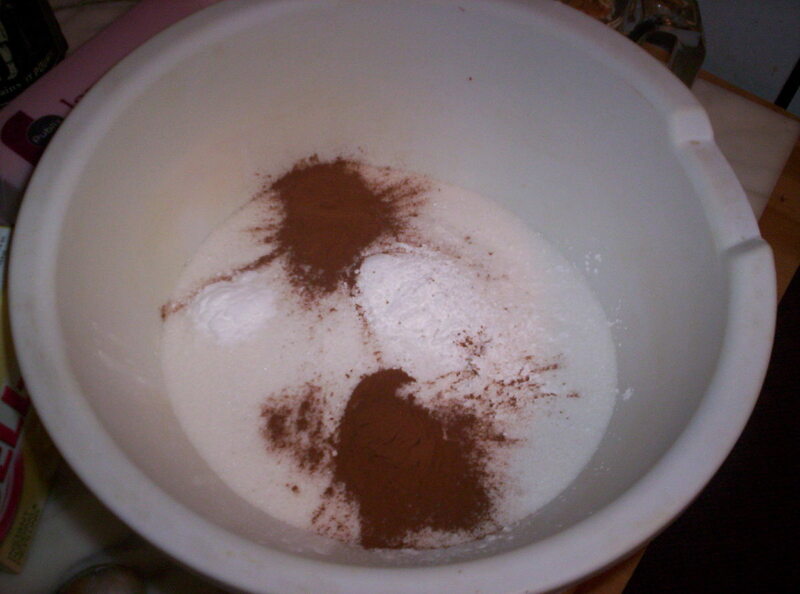 Place this mixture into the large plastic container. Always stir the mixture with a wooden spoon. Do NOT use a metal spoon. 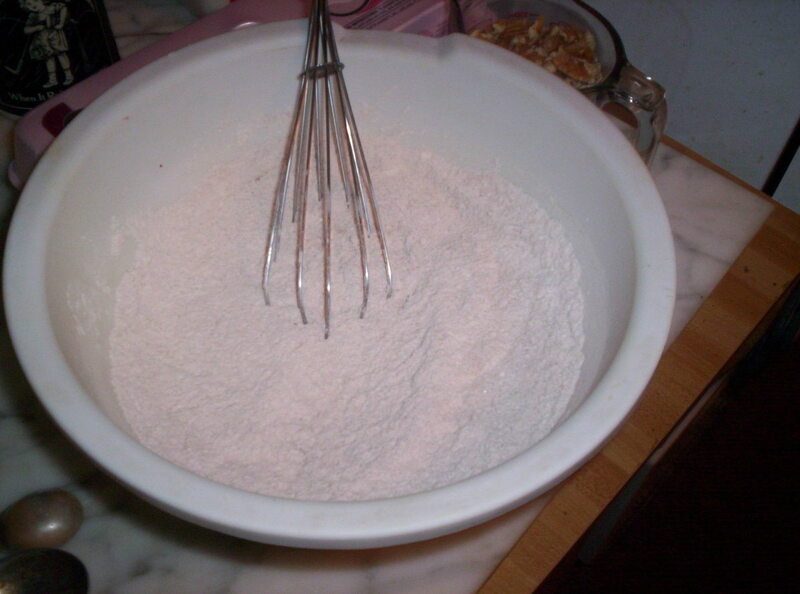 Day Five: Add 1 Cup of Granulated Sugar, 1 Cup sifted Flour and 1 Cup Whole Milk. Stir until there are NO lumps. After all 10 days are completed, divide the starter into four separate containers. I use a pint size Ziploc bag. This starter freezes well for use later. At this point, the Amish would share their starter with a friend, but I needed all I could make for our bread. 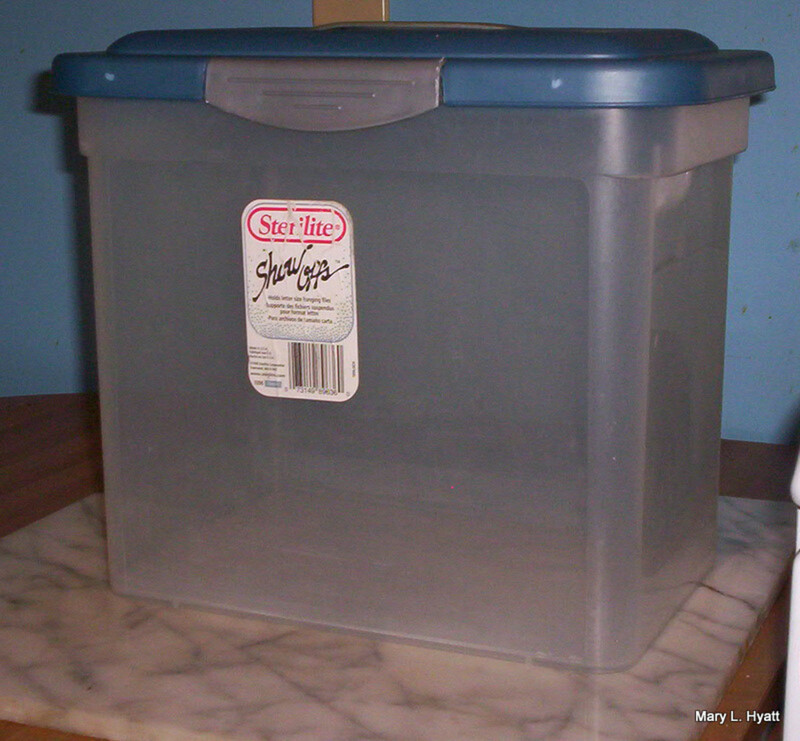 I found it easier to keep up with the days the starter had been brewing by placing a piece of paper on the top of the container and marking off each day. I'd also make a note on my calender. 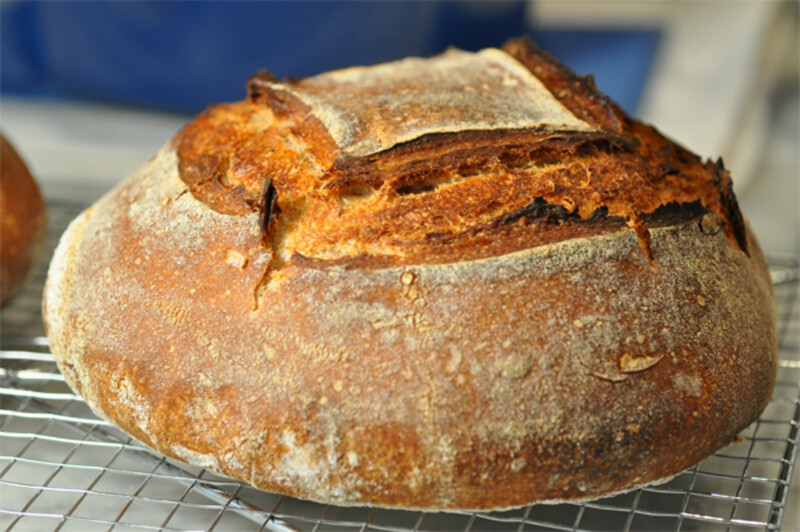 Now, you are ready to make the bread: This recipe will make two regular sized loaves. 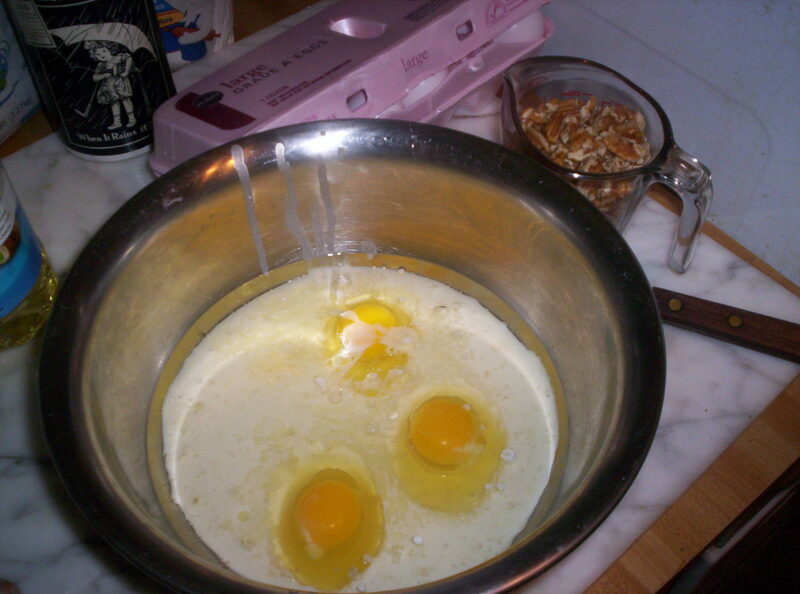 I use my big mixer to mix all the ingredients together. Add the dry ingredients to the wet ingredients. Mix together really well. 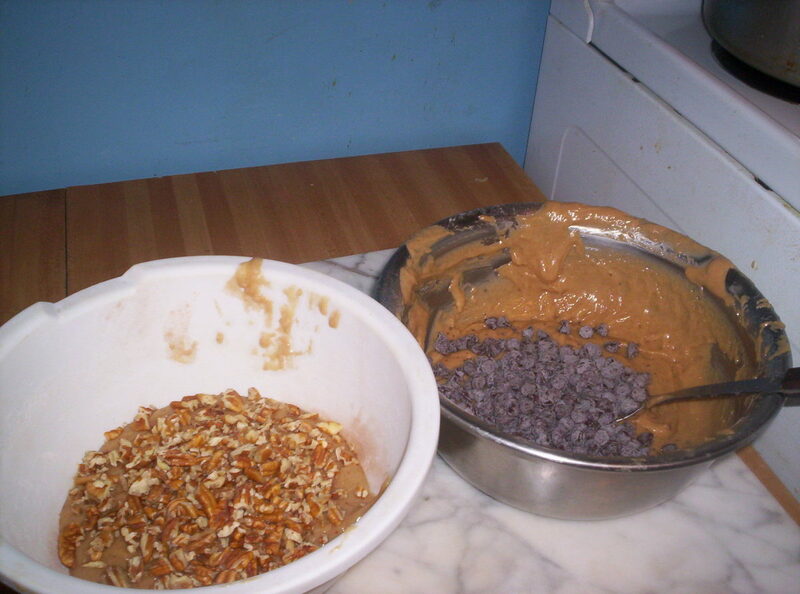 After it is all mixed well, you add 1 Cup of Chocolate Chips or 1 Cup of chopped Pecans or Walnuts. I would make some of each. Our best seller was the bread with the Chocolate Chips! 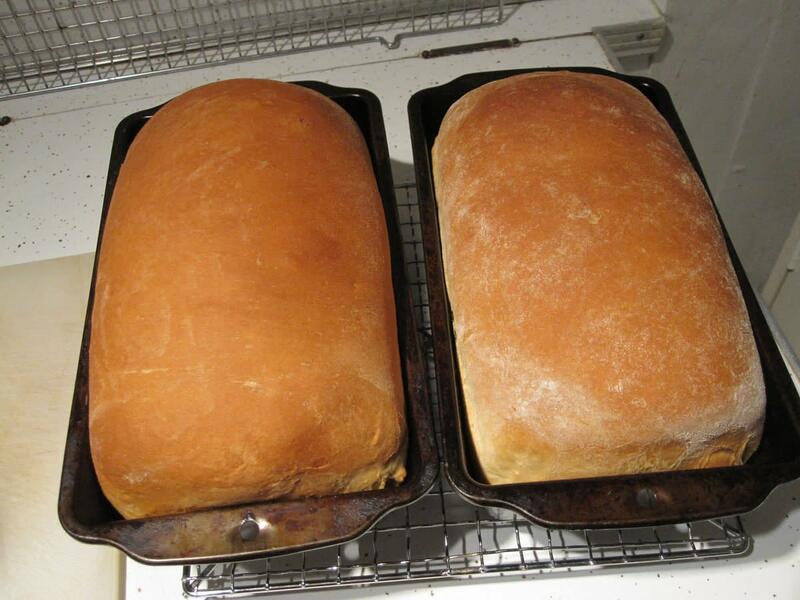 Pour into two regular sized loaf pans that have been sprayed with Pam. I use disposable loaf pans. Bake at 350 degrees for 1 hour and 10 minutes, or until a toothpick comes out clean. We would then cover the bread tightly with Saran Wrap, and place a sticky label on the top telling what kind of bread it was; Chocolate Chip, Pecan or Walnut. Also we typed on the label this bread is perishable! Keep refrigerated or freeze until you are ready to eat it. It cannot be left out on the kitchen counter! It will spoil quickly! We included our phone number so people could call and order more of the bread. We sold it on a money back guarantee, and no one EVER asked for their money back. I have to tell you, this bread sold as fast as we could make it. We had a regular assembly line going in my kitchen. I would have 6 separate containers of starter going at any given time, and we were making 8 loaves at one time. We priced our bread at $10.00 per loaf. We earned enough to send my Daughter to Japan, plus enough to purchase a freezer to hold the extra loaves until they could be sold. The marketing of this bread is another story in itself. We would load up the car in the early morning and go around door to door and sell them. It took us three months of hard work and effort, but we did it. Soon people were calling to order more bread. We could have had a good little business, but the laws that protect consumers prevented that. We were allowed to sell our bread to friends, but not to the general public unless my kitchen was inspected and passed all the local Health Department requirements. I was tempted to go through all that "red tape", but I decided it would have been too expensive to install special sinks, ovens, and other equipment. We accomplished what we set out to do by working together to make and sell this bread. My Daughter had an experience she will never forget in Japan with the Color Guard. 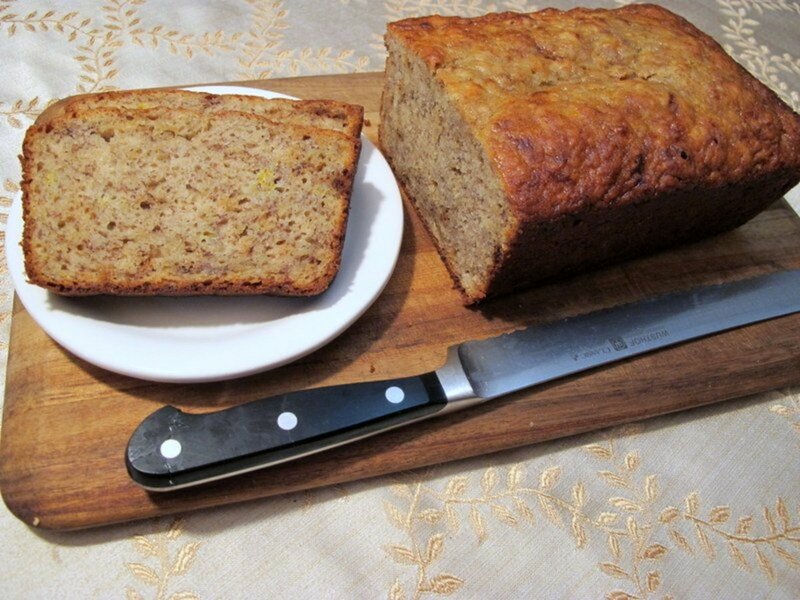 I still make this Amish Friendship Bread from time to time, because my family loves it. I always have some starter in my freezer ready to make this delicious bread. If you don't have a friend who has some starter, and you don't want to make it yourself, check out eBay. Someone on there usually has some for sale. Do You Like To Bake Bread? Hi, teaches12345. I'm happy to hear you have made Amish Friendship bread, too. Just this past Christmas I heard from five people who had eaten our bread before asking if I was making bread again. They wanted more! I still make it for my family because they love it. I made this bread years ago using a starter and I know it is delicious indeed! I admire your dedication to making all those wonderful loaves of bread. I probably should not have read this just now though because my tummy is growling and I'm drooling over the photos! Hi Paula, don't give up trying to make bread! You just have to be careful not to add hot water to the yeast; you will kill it!! We had a wonderful time making this bread. I still have people asking for it, especially at Christmastime. Hi, Au fait. A lot has happened in my life since I wrote this Hub. I had to leave my home of 35 years into a small apartment with a tiny kitchen. I am so limited in space I cannot make my Amish Friendship Bread any longer. My son has a job and is saving his money to go to Italy. I enjoyed making this bread so much for my daughter to go to Japan. What a wonderful idea you had, and what a great story you have to tell from generation to generation! Sounds like you're going to have another story to tell about Italy, if that hasn't happened already. Voted up and awesome! Gave you 5 more stars. Hi, heidthorne, Oh, no....anyone could make Amish Friendship Bread!! It is really fun to make and very rewarding, cause it tastes so good! Glad your bread made some "bread" (the cash kind)! Regardless of the reason for making it, it sounds wonderful, though probably a bit beyond my poor cooking skills. :) Thanks for sharing! Hi Marie, Oh yes, Amish Friendship Bread is absolutely delicious! You should make some for yourself. You can purchase the starter if you don't want to make it yourself. Good Morning, Phyllis, I'm not familiar with Challah bread at all. I really wanted to go into business selling Amish Bread, but the laws in Florida about selling to the public are very strict. You have to cook in a kitchen approved by the Board of Health, etc.etc. I had no problem selling this bread for 10.00 a loaf. Now with the cost of buying nuts so high, I think you could sell it for even more. Hi Vellur, It was a lot of hard work, but it paid off. I still make the bread, but only for the family to enjoy! My family begs for it! While living in Torrance, California, I took medical terminology and transcription classes. My teacher gave me some friendship bread she had made. I think it was the first time I had it. Sweet and delicious! My gosh, Mary, I am so glad I saw and read this hub. I will bookmark, get the ingredients and start selling. I am surprised you got $10.00 per loaf, that is awesome! I have made Challah bread in the past and sold it for $3.00 a loaf -- I think I can raise the price on that to $5.00. The Amish Friendship Bread I will sell for $10.00, for there is a lot more work to it. Great hub. Thank you for writing this. I know it was a few years ago, but am so happy I saw it. Sharing and voted way up. Great that you reached your goal, awesome work!! So glad that your granddaughter went to Japan, the bread must have been delicious!! As your "name" implies, you must like to bake! I do, too. There was a lot of baking going on when I was trying to make Amish Friendship Bread to sell for my daughter's trip to Japan. After the starter is made, it freezes very well. Then you will always have some on hand to use to make the bread. wow you made 3,000 selling bread that is extremely impressive. I will have to try making it sometime. Was the starter hard to maintain? Hi, Nell Rose. Thanks for the nice compliment on my Hub about making Amish Friendship Bread. You know how nice bread cooking in the oven smells, well your whole house smells heavenly when this bread is cooking! What a great story! it just goes to show what a great cook you are! lol! I must admit I had never heard of it before, brilliant idea! Hi, DeborahNeyens. The original intent of the Amish was to give the starter and a loaf of the bread to a friend, hence the name, Amish Friendship Bread. Now that you know just how good this bread is, I hope you will pass some starter to another friend for them to enjoy. My family loves the Chocolate Chip bread. 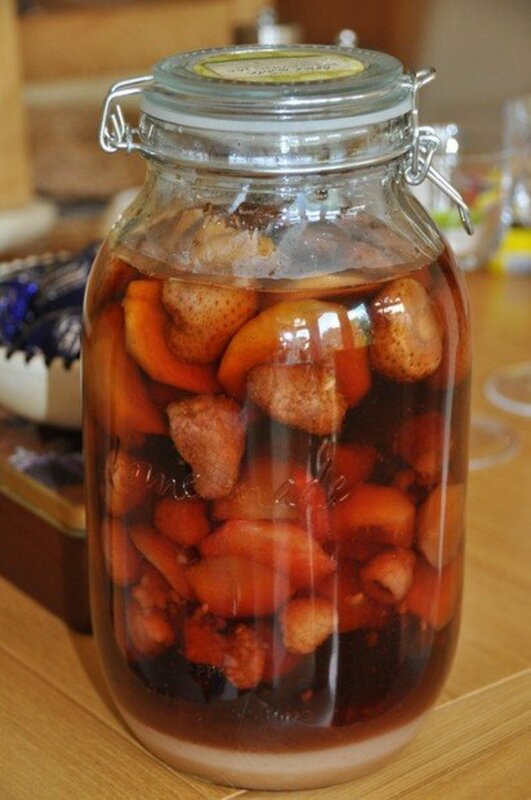 I had this for the first time at Christmas, when a friend gave me some starter, along with a loaf of baked bread. Fun and delicious! I can see how you were able to do so well with your sales. Congrats! Good Morning, Jackie. I'm happy you came back to get the starter recipe for the Amish Friendship Bread. If you have any problems, let me know, OK? Yes I came back for that starter recipe, it is bread making weather. Thanks! Hi, Laura Rash. So nice to "meet you" today! Thanks for reading and commenting. I'm glad you like my recipe and story. 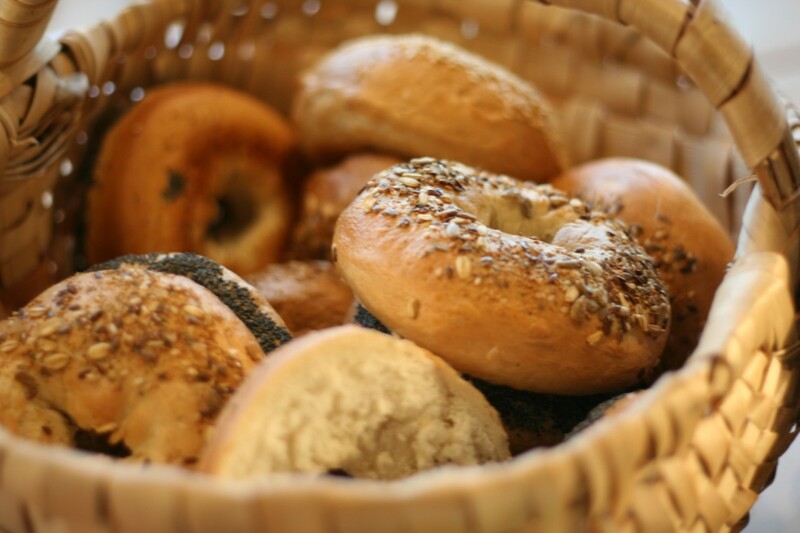 Loved this article... Good recipe, good bread, and good story - voted up and useful!! Hi LittleFairy. Yep, we actually did this. We made $3,000 making and selling Amish Friendship Bread! It really is a good bread, wish you would try it sometimes. Hi, Sally's Trove. You sound like you know all about what it takes to bake and sell Amish friendship Bread! I tried to find a kitchen in my area that would allow me to use, but I was refused due to liability factors on their part. Wow! You made lots of different kinds of bread. I never tried anything else. I'm going to start up pretty soon to try and make some money for the Grandson to go to Italy. It'll be fun. Hi, unknown spy. 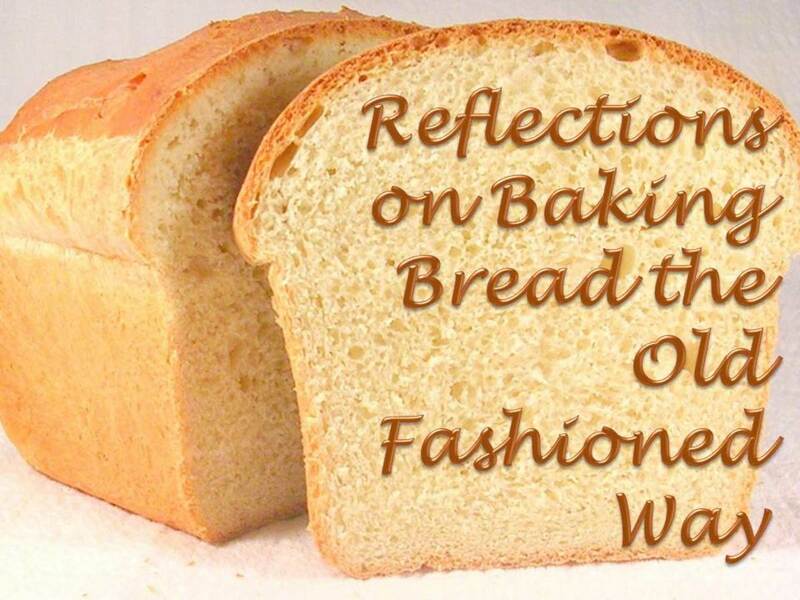 Thanks for reading and taking the time to comment on my baking and selling Amish Friendship Bread. Mary, this hub is so super on so many levels, I'm beside myself thinking about them. I got my "friendship" starter, years and years ago from a Mennonite friend. I made so much bread, not just the friendship bread, that it turned into a business, but the kind of business you describe...selling friend to friend, word of mouth. Then a local restaurant offered me their kitchen to expand my business, so the burden of the licensing would have been off my back. But, life changed, other things happened, and I never took them up on their offer. I haven't made this bread in years, so I'm SO glad to see your instructions for making the starter. As I recall, it does need feeding and it can get away from you, as in having so much more than you need. I never froze mine, didn't know then that you could do that, but even so, if you're not careful, the starter can overtake your house! So interesting, in those days (1979-81), I was selling my rye, whole wheat, challah, pumpernickel, herbed white, and "friendship" breads for about 3 to 4 dollars a generous loaf. Maybe I better get back on that bandwagon. But, as you say and know, it's almost impossible to make a business out of this from your home kitchen because of the regulations. Hi Jaye, so nice to see you today! Thanks for your sweet compliment on my Hub about Amish Friendship Bread. Yes, I think our efforts to bake and sell the bread made her trip more memorable because of all the hard work we put into it. Hi, Glimmer Twin Fan, thanks for reading and taking the time to comment on my Amish Friendship Bread. I would loved to have started a real business with this bread, but the health laws are too strict. I do hope you will make this bread, you would love it. Hi, tillsontitan, thanks so much for reading about my Amish Friendship Bread. Making and selling this bread was such a good experience for my granddaughter and me. I'm lucky to have these children in MY life, they have added a lot to my life. Oh, yes, this starter freezes well. I have some in my freezer right now, ready to go! What an awesome hub and how brave of you to go door to door to sell it. I could imagine a bake from home business going well for your with this bread. It looks delicious too. I'm going to have to try it. Voted up! I can't believe I missed this wonderful hub! You never cease to amaze me with your caring and devotion. What a wonderful thing to do. Though you make it sound so easy, I know it is not. How lucky ALL of your children are to have you in their lives. I remember making this bread years ago but no one told us we could freeze the starter! Thanks for sharing this inspiring story and recipe. I need that WoW button! Voted up, useful, awesome, and interesting and sharing with my followers. What an interesting hub Mary! 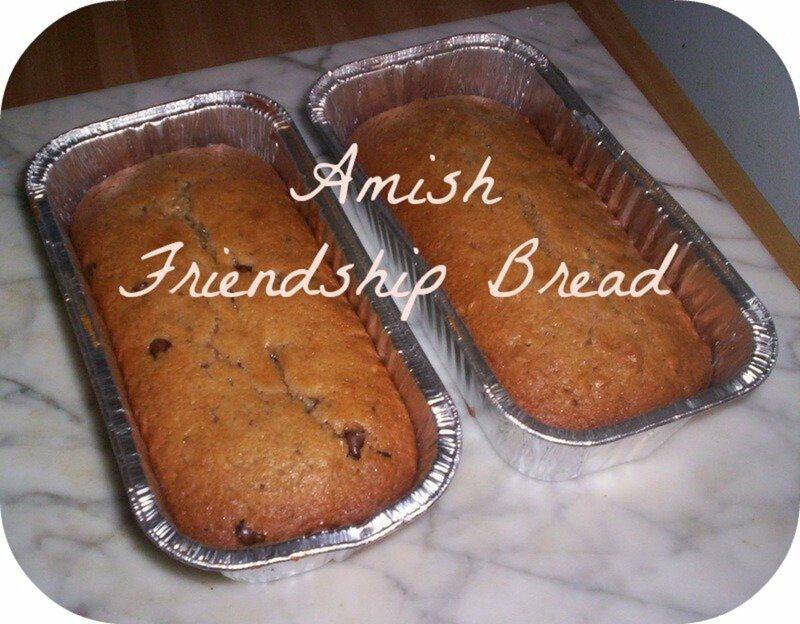 I have never heard of Amish Friendship Bread before now but the recipe looks yummy, albeit a bit time consuming. I think I might be giving this one a try and when I mentioned to my husband that the house will smell like a brewery for 10 days he was all for it too! Lol! Great hub, voted up and interesting. Hi, healthwealthmusic. I'm happy to read that you have made Amish Friendship Bread and that you liked it. I never met anyone who didn't like this delicious bread. It does require effort to make the starter, but making the bread is very easy. Good Morning, Rema. Your comment really made me feel good! Yes, it was a lot of work to make our goal, but well worth that effort. But, you know, my granddaughter and I had a great time baking and selling the Amish Friendship Bread. Hi, Denise. Well, you just made my day with your praise! Thank you for reading about my Amish Friendship Bread. I do hope you will make this bread. If you don't want to make your own starter, it can be purchased. I still have people who call me and ask when I'll have more bread to sell! An inspiration to anyone who is in need of making extra income, that's for sure! You have detailed your hub well enough that anyone could follow it from your experience. I remember that we baked some Amish friendship bread at home for a while - we ate it all ourselves. Eventually we got tired of it and quit. It can be a lot of work :) Thank you for sharing! My! What an enterprising person you are Mary! Perseverance and patience seem to have paid off in your endeavor. I loved your hub from start to finish not missing a single word of it. I love such stories of hard work and sweet success! I am very proud of you. You have set a great example for people like me proving that with determination, anything is possible. Thank you very much Mary. Cheers, Rema. Hi, L.L. Woodard, I am happy you enjoyed reading my Hub on making Amish Friendship Bread. If you have never eaten this bread, I'd encourage you to do so, you will love it. Hi, Millionaire Tips. Yes, this was quite a job baking and selling all this Amish Friendship Bread, but it was well worth the effort! Mary, you are an inspiration all the way around. What an enterprising, practical solution you found! Thanks much for sharing your experiences, the recipe for the Amish Friendship Bread and the useful pictures accompanying this hub. What a great story! That's so sweet of you to dedicate so much time to make the bread, and awesome that you were able to sell so many loaves. I received a starter mix once and I just didn't have the time to keep it up. I didn't realize you could freeze it. The bread I did make was really good! What an incredible experience for your daughter to be able to go to Japan! And for your grandson to be able to go to Italy! My daughter has been also and she loved it. The memories will last for a lifetime. Hi, trusouldj, glad to hear you have eaten some Amish Friendship Bread. Most people really do like this bread, I'm glad to hear you liked it, too. i actually had some a couple of years ago based on a mix that was started and passed on to me. Very tasty. HI, mizjo. I do hope you can make some Amish Friendship Bread. It wouldn't require much room. I was just making so many loaves at one time! I'm not familiar with Irish cottage loaf and Irish soda bread. Maybe you could share your recipe in a Hub??? Mary, first off, I have bookmarked this page for when I have the facilities to bake bread again. I used to, but my present kitchen has shoulder room only and not very conducive to keeping any starter in. 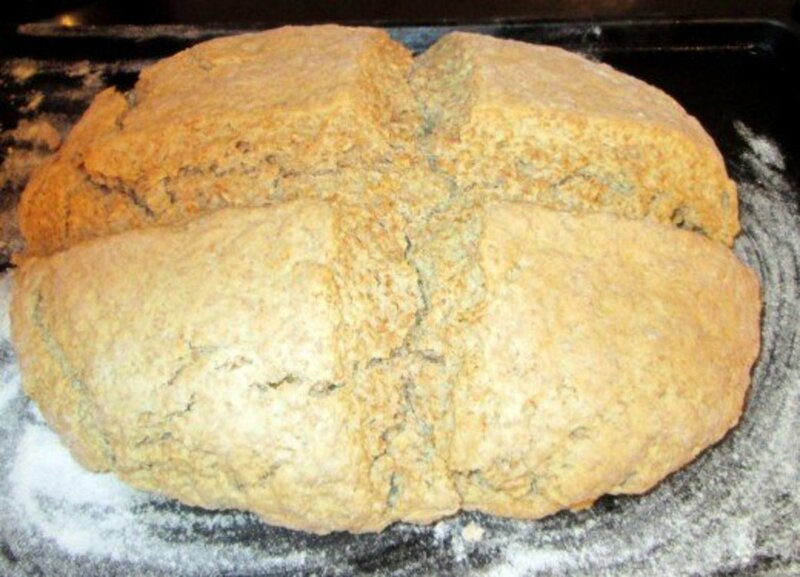 My favorite breads have always been Irish cottage loaf and Irish soda bread. But your loaf sounds very good, it's no wonder your buyers couldn't get enough of it. You are an inspiration to those of us who grouch about the lack of money and don't do anything about it. Hi Jason, thanks for reading my Hub on how to make Amish Friendship Bread. I hope you will give it a try; you would love it. If you don't have the starter, just buy some. Wow! This is pretty incredible. I appreciate how you included a recipe that is easy to follow and understand. Thanks for sharing! Hi, Nicole S Thanks for reading about how I made and sold Amish Friendship Bread. I keep the starter and extra bread in my freezer because my family just loves it: especially the chocolate chip! Hi, Peggy W Well, if you ever get your hands on the starter again (or if you want to make some), make a couple of loaves of Amish Friendship Bread and put them in the freezer. When you want a slice, just take it out, slice what you want and return the rest to the freezer. The starter freezes well, too. In fact I have 4 ziplocks full in my freezer now, cause Christmas is coming, and I'll be baking! Thanks for the votes and the share. Very inspirational! I love baked bread way better than bought bread. Kudos to you for making the effort to raise all that money for her! Very inventive of you and so nice for your granddaughter that she got to go to Japan because of your bread making efforts. I like the chefs hats as a text divider! I have been given some of this starter but since it is just the two of us...it is hard to keep up with the continual baking. We can't eat that much bread...especially sweet breads. It is good! Always wondered how you got the starter started. Now I know. Voted up, useful, interesting and will share. Hi, Sunshine625, Oh, come on....wouldn't you love the satisfaction of making real bread? Your kitchens smells like a beer brewery, and your floor will be sticky from the yeast stuff! You are much too busy here in HP to fool with making Amish Friendship Bread! It sounds like you and your granddaughter spent quality time over this recipe! Congrats....and the sales were impressive! Very good work, both on this recipe and the sales effort! Voted up! 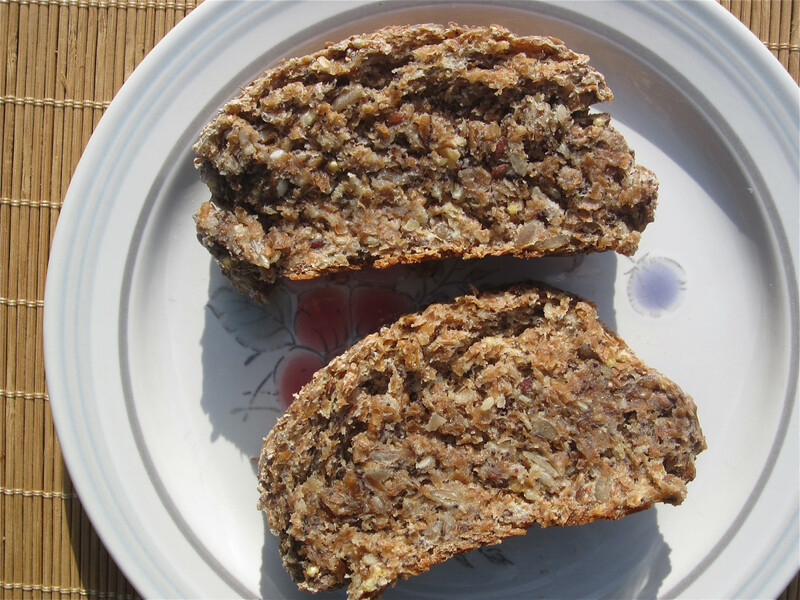 Hi, Bredavies, thanks so much for reading my Hub on making Amish Friendship Bread. I do hope you will make this delicious bread someday. Hi tammyswallow. It is a very unusual bread in that it is sweet, not like a bread as we think of bread. Why not try and make some now for yourself. It really isn't that difficult. You just have to have the starter which you can make or buy already made. I keep starter in the freezer cause my family loves this stuff. This is the first time I have seen a recipe for this. When I was preganant with my youngest I got very, very sick and had to eat special food. A family member made this for me and it was so wonderful and full of healthy things. I would love to make this and have some more. Great sales! Hi, dwachira. Thanks for reading about how I made $3,000 making and selling Amish Friendship Bread. Yes, I was very proud of the fact that I was able to make enough money to send my daughter on her high school trip! It was a team effort for me and her. The recipes look great plus you have very valuable information here which can be used to start an income. Thanks for sharing this information, voted up and shared. Hi fillyourheart. Thanks so much for reading and taking the time to comment on how to make Amish Friendship Bread. I hope you will make some of this bread sometimes. Great hub! Thanks for all the useful information! Good Morning, Eileen Goodall. Sounds like you are ready to make some Amish Friendship Bread! First of all, Wesson Oil is a brand of salad oil that I just happen to like. I'm sure you folks there in the UK have a product that you use in salads that is oil. Any good salad oil will do fine. Now the yeast: I use Fleischmann's Active Dry Yeast. It is fast acting. Each packet contains 2 and 1 quarter teaspoons (1/4 oz) Yeast also comes in other forms such as a solid block, but I've never used it. If you don't want to make the starter, you can purchase it on eBay. Then you just make the bread. I've never used it, but I know it can be purchased there. If you do make the starter, keep some aside in the freezer for later use. It does freeze well. If you have any other problems, please let me know either on HP or my email. I'm glad to help. Can someone please tell me what Wesson Oil is as we don't have it here in the UK? And how much yeast is in your packets? And do you need the fast action dried yeast or just the normal dried yeast? Hi again, TripleAMom, I'll look for your hub on Pensacola. My husband went to the University in Gainesville. I just remember it was cold in the winter! I live in a little place called Palm City (sure you've never heard of it). It's near W. Palm Beach. Sounds like you've been all over the state of Fl. Hey mary, we're about to visit my mother in law in Gainesville, then later in the summer, may be going to the Keys for vacation. Used to go there a lot because my husband is from Miami originally. We lived in Jax before Pensacola, I went to FSU, and my husband went to Stetson in Deland. So, we've travelled Fl. Where in S. FL are you? Hey TripleAMom. I wish we lived closer (I'm in S. Fl. ), I could give you some starter. I keep it in my freezer all the time, cause my family loves this Amish Friendship Bread. Wow! you do have some expenses coming up. I only have a 17 yr old son left, but I know trips are coming. I may have to start making some bread!! Make yourself some starter and keep some in the freezer, then you will always have it. Thanks so much for the votes and the share. This is awesome. I never knew how to make the starter. I haven't had friendship bread in a long time because I haven't had a friend to give me any. I love this stuff. Good for you finding a way to send your daughter to Japan. I know all too well how expensive the trips can be. 1800 this year for Washington DC for my son and soon if he goes, 4000 for Europe. May not get there though. Voted up and sharing. Believe it or not, guest....it is a true story. Amish Friendship Bread is very sweet! Thanks for reading. Hi, donabhatt. Thanks for reading about my baking and selling Amish Friendship Bread. Yes, I would love to have started a home business with this, but I couldn't do that unless I remodled my kitchen to comply with our health department rules on sanitation, etc. I still make the bread for friends, though. Such a Great experience.......the idea is also great for people to start with some small venture as well always try something delicious like this at home. Good Morning, PenHitsTheFan (I love that)! I've heard of Shoo Fly Pie. There was a song about that done by the Andrews Sisters years ago, I think. Thanks for reading my Hub about Amish Friendship Bread. Bye for now. I'm from Amish country too. Next trip you could try ShooFly Pie. People seem to really like it. Why? I don't know, but they do. Hi nina, I really don't know if you can purchase the instant pudding where you live or not. We call this a bread, but it is sweet like a cake. Good luck. Thanks for the link to your wonderful Amish Friendship Cake! Hi KoffeeKlatch Gals. Thanks so much for reading my Hub on how I made and sold Amish Friendship Bread. Thanks for the votes, too. I appreciate that so much. Hello, I liked your story, I would like to try this bread but I live in London UK, can some of those ingredients we can get here vanilla pudding for example ? Can you advice, also was it a bread or a cake ? What a wonderful story and terrific money raising idea. Your bread looks aswesome, no wonder people were willing to pay $10 a loaf. Gredat photos and marvelous writing. Up, interesting and awesome. Hi rajan jolly, so nice to see you today! Thanks for the nice compliment on my Hub about making and selling Amish Friendship Bread. Thanks, too, for the vote. I appreciate that. I hope you have a wonderful day in your far off country. What a great story! I liked the way you wove the details around the recipe. It never was meant to be a recipe hub. The bread looks awesome. Loved the pics. Hi again, carbon12. I just checked eBay and they do have sellers who are selling the starter. Hi there, carbon12. So nice to see you today! Thanks for reading about my making and selling Amish Friendship Bread. Thanks, too, for the vote. This bread is the greatest: out of the oven with butter is SO good. I think you can get the started from Amazon. That is the toughest part, getting the starter. I hope your day is wonderful for you, too. Wow! The people have spoken. There are so many comments. This wonderful bread is awesome. I can almost smell its fantastic aroma. A great successful venture. Well done! I loved reading this hub, very informative. I wonder if the ingredients can be found from other sources besides the local market. You got my VOTE UP. Very easy. I adopted my Granddaughter. As my profile states, I'm from Florida. Goodnight. The story started out your granddaughter and ended up your daughter. How is that possible? Are you in Alabama? Good Morning, KDee411. Nice to see you today! Thanks for reading and commenting on my Hub about baking and selling Amish Friendship Bread. So pleased you will try making the starter using my recipe. As I said in my Hub, the first time I made the starter, it went all over the floor. What a mess! Have a wonderful day. What a good idea, good grandma. I just might try the starter your way. I tried it once and had the goo all over the place. Hi how-to-make. So nice to see you. Thanks for reading my Hub on how I made and sold Amish Friendship Bread. If you've never made this wonderful bread, I hope you will do so. You will love it! Thanks for the nice compliment,too. Goodnight. I like your story, your experience and your recipe. You have pitched a great idea in my mind. I also like making various recipes but yours is amazing.